Newton Vineyard in St. Helena in Napa Valley. 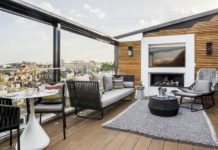 When we first sat down to research this story, we naturally assumed that hotels in San Francisco would have myriad packages combining San Francisco and California’s wine country. I mean, it’s a natural right? Not so fast, says Lynn Ciccarelli, a Virtuoso travel agent with Bella Vacations. She says that planning a trip for her clients to Northern California’s Napa and Sonoma wine country regions, and pairing that with a stay in San Francisco takes a bit of research and preparation, and most importantly building great relationships. According to Ciccarelli, who recently shared with us her own finalized travel itinerary she created from the ground-up for clients vacationing in this part of the U.S. (an itinerary jam-packed with private wine tasting tours, accommodations at high-end hotels, and lunch and wine tasting in the Vista Dome Car aboard the Napa Valley Wine Train), the planning process for this kind of getaway includes developing a strong relationship with a hotel partner, and getting the inside scoop from the concierge, because they have the 4-1-1 on wine tour operators and information on local wineries—and there are hundreds to choose from in both Sonoma and Napa. “When creating a trip for a client to the wine areas of Napa or Sonoma, find out from the client the type of accommodations that they like. Do they want a private wine tasting experience by appointment only, or are they comfortable with the mainstream tastings? Are they interested in self-driving tours or would they prefer private drivers?” she says. 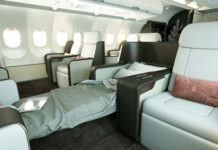 Ciccarelli points out that she prefers to have her clients fly into San Francisco, but rather than stay in the city, she gets them right out to wine county, that way they are not rushed to get back to San Francisco International Airport for their flight back home. It’s a more leisurely pace, she points out, and she makes certain her clients are scooped up by a private transfer once they arrive at the airport on their first day of vacation. Once in Napa and Sonoma, their days are filled with wine tastings, tours and a few spa treatments before it’s time to pick up a rental car and drive back to San Francisco for some sightseeing: savoring San Francisco’s restaurant scene and experiencing spots like Nob Hill, Chinatown, the Ferry Building Farmer’s Market and Union Square. “This is a trend, not only from travelers coming from the east coast, but people around the world because as California’s wine regions become more known and more wine regions become famous, San Francisco is key as the gateway to all of these regions,” says Laurie Armstrong, director, media relations U.S. & Canada for San Francisco Travel. “Napa Valley, of course, has been famous for the longest time, but Sonoma County is becoming very popular and there are lesser-known wineries there. As Napa and Sonoma are located only an hour or so from San Francisco, Recommend put together a few hotel and tour operator suggestions to give you a jump-start to creating a wine country/San Francisco vacation for your deep-pocketed clients. Terrace at The St. Regis San Francisco. Supporting Armstrong’s claim that visiting wine country is becoming more and more of a trend is the fact that last year Napa Valley saw 2.94 million visitors. Located about 90 minutes from San Francisco, Napa Valley is a natural tourist destination for clients who like the finer things in life such as Michelin-starred restaurants, exploring wineries and the arts scene or getting pampered at a spa. One of the nicest accommodation options in the area is the River Terrace Inn, a Noble House Hotel located minutes from Napa’s downtown area, with its tasting rooms, and a perfect distance from the award-winning wineries. Your clients can explore Napa by river and rail with the hotel’s River Rails and Wine Trails package. Ideal for a 3-day getaway, the package includes a wine tour for two with Beau Wine Tours; a picnic lunch courtesy of Restaurant Cuvee; access to 36 boutique wineries; and tickets for two aboard the Napa Valley Wine Train, a 3-hour leisurely ride, meal included, in restored antique rail cars that allows clients to truly take in the passing scenery. Package rates start at $357 per night. Another inn that’s a perfect fit for clients looking for a charming stay is the Napa River Inn, located in the heart of downtown. Vivian Holley, one of Recommend’s contributing editors, described the inn in the October 2012 feature, “Napa Valley Revisited,” as a “masterful makeover of vintage buildings featuring an 1884 mill.” It encompasses 66 guestrooms housed in three buildings and features eateries, a bakery and a jazz club. The inn is offering a Girls Gone Wine package that includes 2-night accommodations for four people; 20 percent discount at The Spa at the Napa River Inn; complimentary bottle of Sofia Coppola sparkling wine upon arrival; catered breakfast from Sweetie Pie’s Bakery each morning delivered to the guestroom; full-day wineries excursion with transportation and picnic lunch from Platypus Tours; exclusive discounts to Cake Plate clothing boutique and personal shoppers; VIP coupon books at the Napa Premium Outlets; and 15 percent off at Amelia’s gift shop. 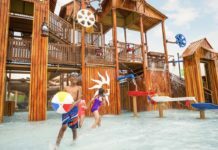 Rates, based on quadruple occupancy, start at $286 Monday through Thursday. 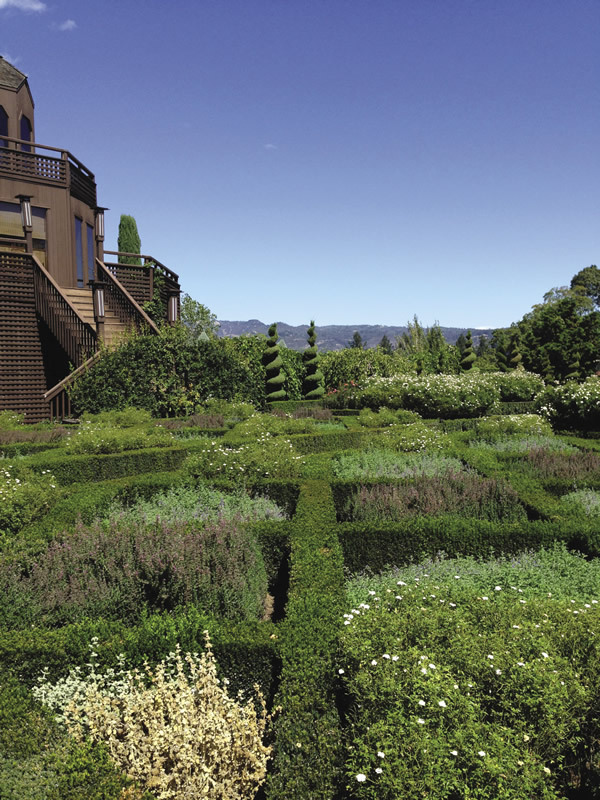 Meanwhile, in Sonoma County, a region with more than 370 wineries and 100-plus organic farms and located 30 miles north of San Francisco, your clients can find indulgence in the form of the 226-guestroom Fairmont Sonoma Mission Inn & Spa, a luxury spa resort with its own source of thermal mineral water. Book the Wine Country Jr. Suites, spacious and elegant rooms with a fireplace and patio or balcony. The Fairmont offers its own daily wine tastings in the lobby, not to mention the complimentary wine bottle waiting for guests upon arrival. The property’s swimming pools are fed by the thermal mineral water from underground springs and the 40,000-sq.-ft. Willow Stream Spa offers guests individual mineral baths, private whirlpools and a Watsu pool as well as facials, massages, and signature treatments. 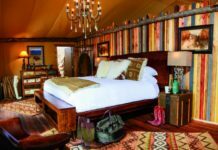 Book the resort’s Rejuvenation package (starting rate is $479 per night), which includes 1-night accommodations, breakfast daily for two at the resort’s The Big 3, Sonoma Golf Club Grill or in-room dining, and a 60-minute spa treatment for two. Bird’s-eye view of the city from Mandarin Oriental. After your clients have spent a few days sipping (or gulping down) wine in Sonoma and Napa Valley, its time to take the drive back south to San Francisco. 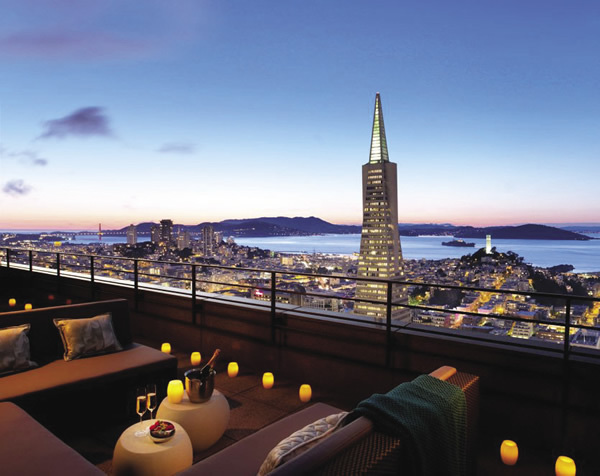 For the ultimate option in luxury accommodations, look into the 158-room Mandarin Oriental, San Francisco, with starting rates at $495 a night. 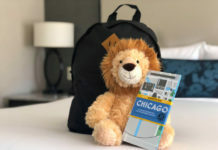 The hotel offers a Reset spa package ($875 for two guests) with accommodations in the hotel’s restyled guestrooms located on the top 11 floors; transportation in a Mercedes S550 Sedan to zip in and around the city, as well as an 80-minute spa treatment. 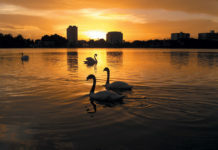 The Mandarin is centrally located near most of San Francisco’s tourist spots like Nob Hill and Chinatown. 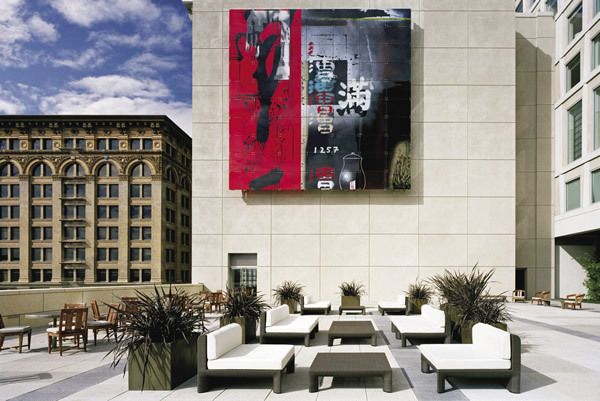 Another option is the 277-room Four Seasons Hotel San Francisco, situated just two blocks from Union Square and the city’s theater district, as well as the Museum of Modern Art and Contemporary Jewish Museum. The Spa is located in the Sports Club/LA, which is accessed from the fourth floor of the hotel and takes up three full floors of the building where private trainers, body sculpting classes, and a jr.-sized Olympic lap pool await. Rates range from $425 to $765 per night. Then again, there’s The St. Regis San Francisco, another property set in the thick of San Francisco’s cultural scene. The property offers 214 guestrooms averaging about 450 sq. ft. and 46 suites ranging from 700 sq. ft. to a whopping 3,200 sq. ft. Butler service, the Michelin-starred Ame restaurant, and a 9,000-sq.-ft. Remede Spa featuring a 50-ft. indoor heated infinity pool and iPods for guests to use while they work out are just a few high-end amenities guests can expect at this luxe property. Starting rates begin at $745 a night. 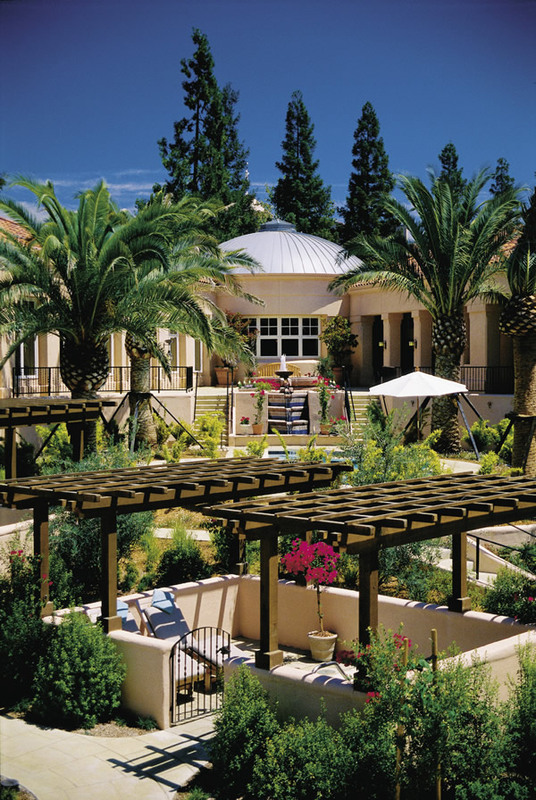 The Fairmont Sonoma Mission Inn and Spa. “While I love the Alexander, Dry Creek, and Russian River Valleys of Northern Sonoma County, about 75 percent of my wine country tours go to Napa,” says Rick Spear, owner of Blue Heron Custom Tours and Travel. He offers a Town and Country itinerary combining a site tour of San Francisco with a day in the country visiting the Carneros region located at the top of San Francisco Bay where guests can sip and savor Pinot Noir and Chardonnay. The tour is $520 pp for a small group of three; $595 pp for up to six. 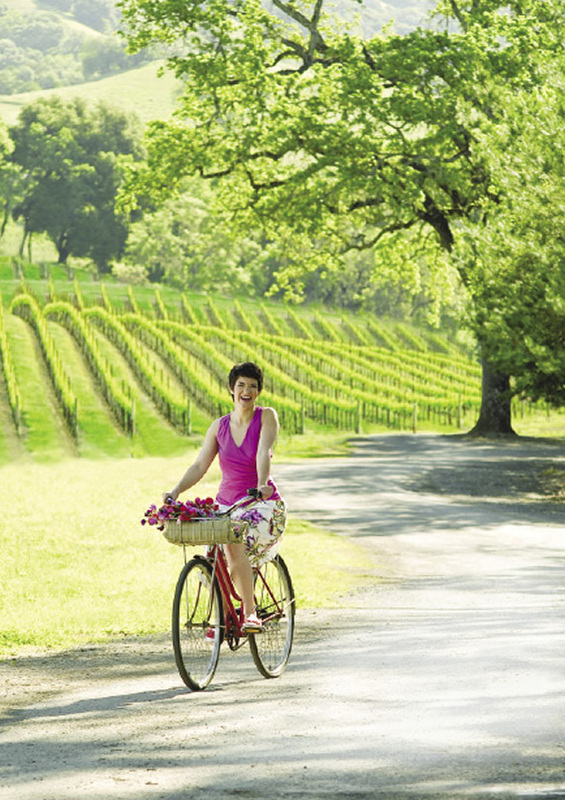 Green Dream Tours can also design trips to wineries in both Sonoma and Napa. “The client can select the wineries they would like to go to or I can select them,” says Elie Sasson, owner. “Mostly it’s a combination of the two. Our Sonoma tour is the most popuar because it has the best value.” The 8.5-hour tour visits three wineries, provides a picnic lunch, and 1-hour of free time to walk around Sonoma, which means more opportunities to taste the region’s wines. The best part? Both tour operators can pick up and drop off your clients from the steps of their San Francisco hotels.